I am definitely not an amigurumi designer, but when this little guy popped into my head I instantly knew I had to make him! 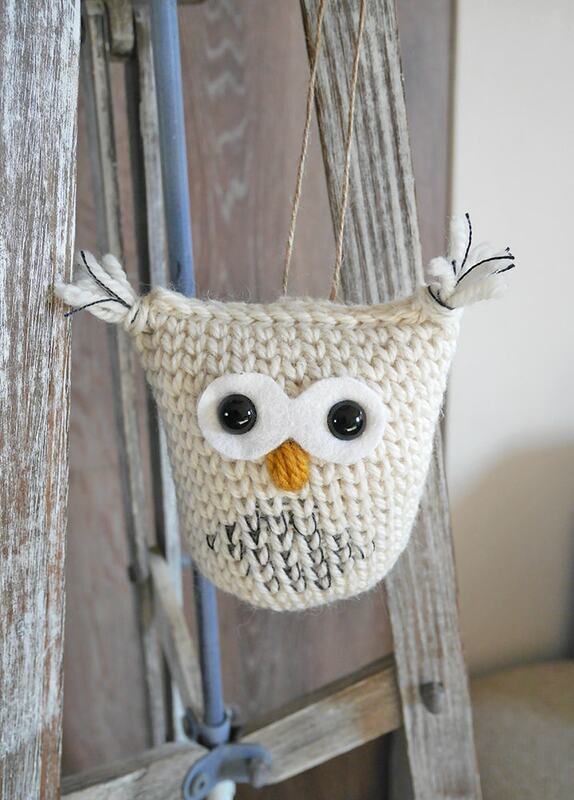 With Christmas approaching, I thought this crochet snow owl would make a great ornament or stocking stuffer. I really like that he is not at all like the other amigurumi, stitch-wise. I used a different crochet stitch that would be dense enough to hold the stuffing inside and look knit! You probably know this by now that I love, love, love making crochet stitches to look like they are knitted. If you didn’t, my adorable crochet pumpkins that look knit should definitely give you a hint! 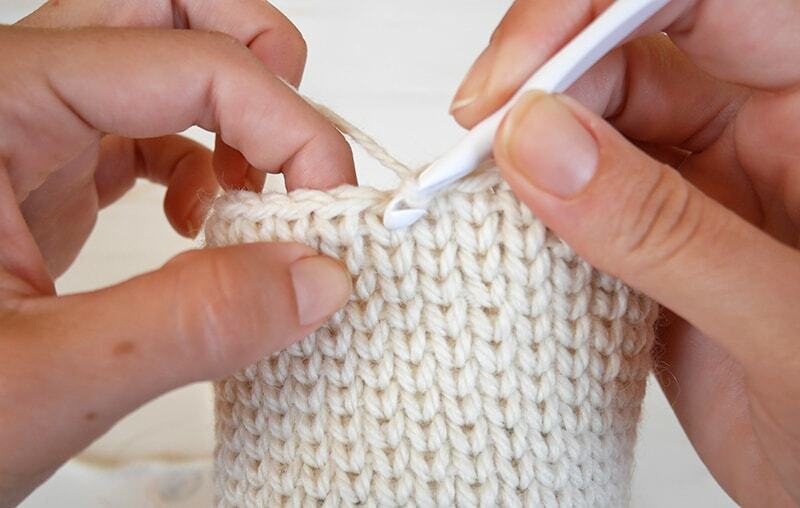 Also, it is a perfect opportunity to teach you a new stitch! This one is called the waistcoat stitch, knit stitch or center single crochet. It can be worked both flat and in the round but I prefer the look of it in the round and that’s what I am going to show you today. 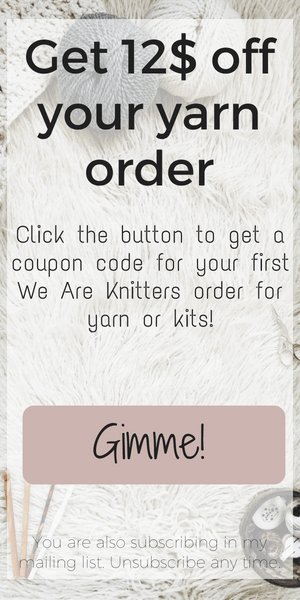 You work it like a standard single crochet and the only thing that is done differently is the place you insert your hook. Instead of going in the usual place (under both top loops), insert your hook in between the vertical v that is in front of your work, as shown in the photo below. 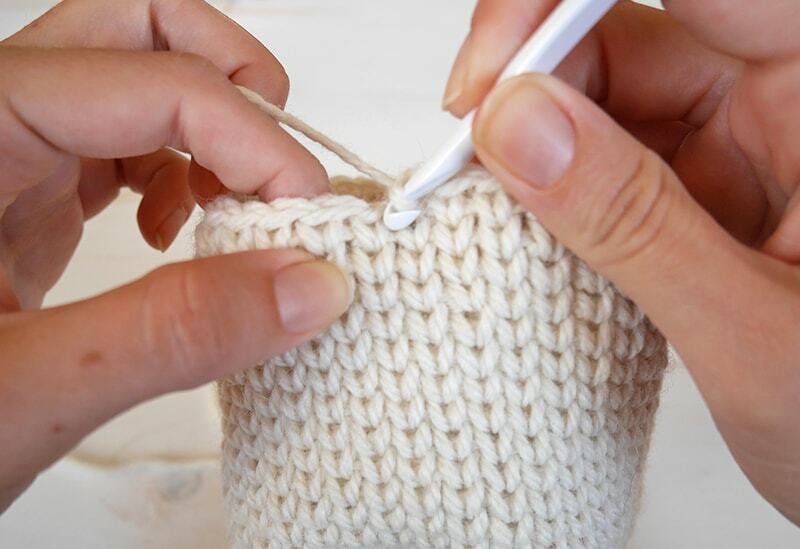 Do not insert your hook in the usual place of a standard single crochet. 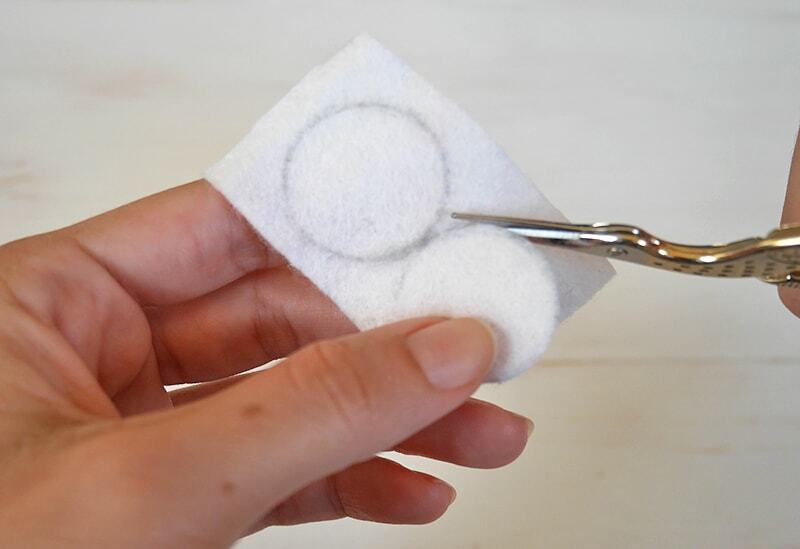 Insert it in the middle of the stitch, between the v shape. It might be difficult at first because it’s quite a tight stitch, so you may have to use your other hand to push it through the fabric. 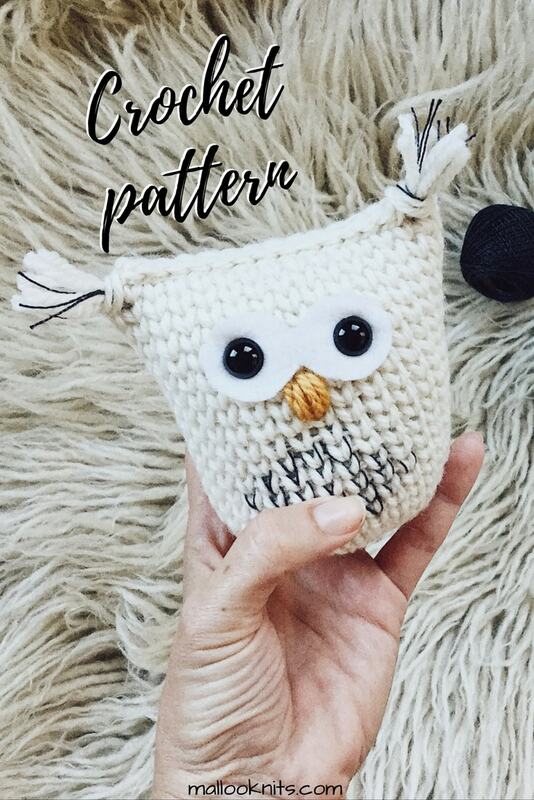 For this pattern forget everything you learned about amigurumi and your tension. 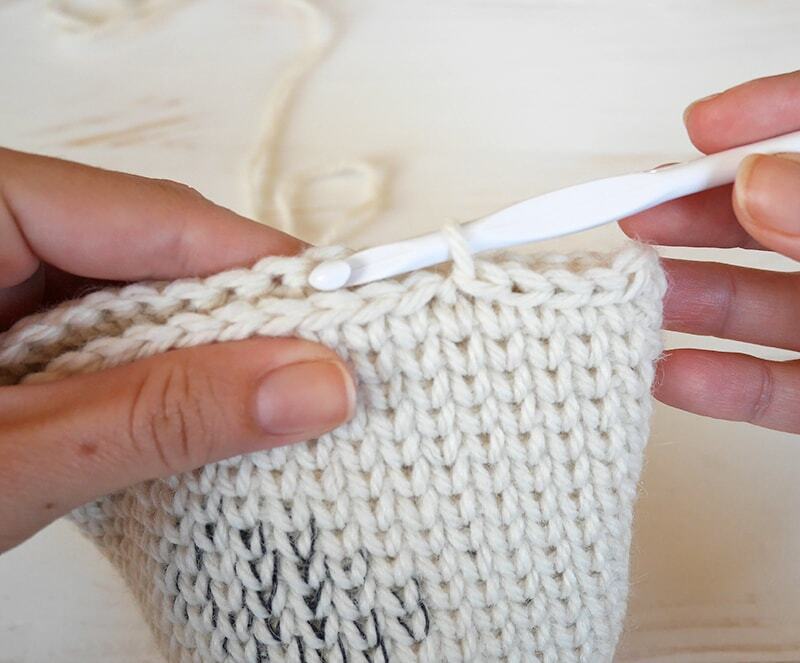 This stitch creates a dense fabric as we said above, so we are going to use a slightly larger crochet hook than the one that is usually recommended and keep your tension and hands loose. I used grey crochet thread in his tummy to showcase some color and for that, you definitely will want to check out my previous tutorial on how to change colors seamlessly. I am not going to explain this technique again here, so if you are not familiar, go check it out now. Also, can you tell I am a huge Harry Potter fan? So without further ado, let’s dive in the crochet pattern! 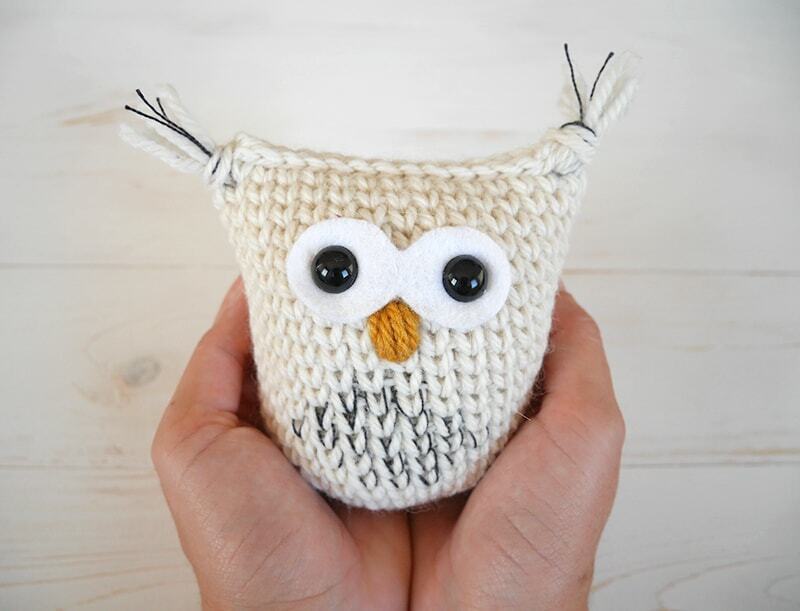 Dimensions: Hedwig is 4 inches (10 cm) tall and 3.5 inches (9 cm) wide. 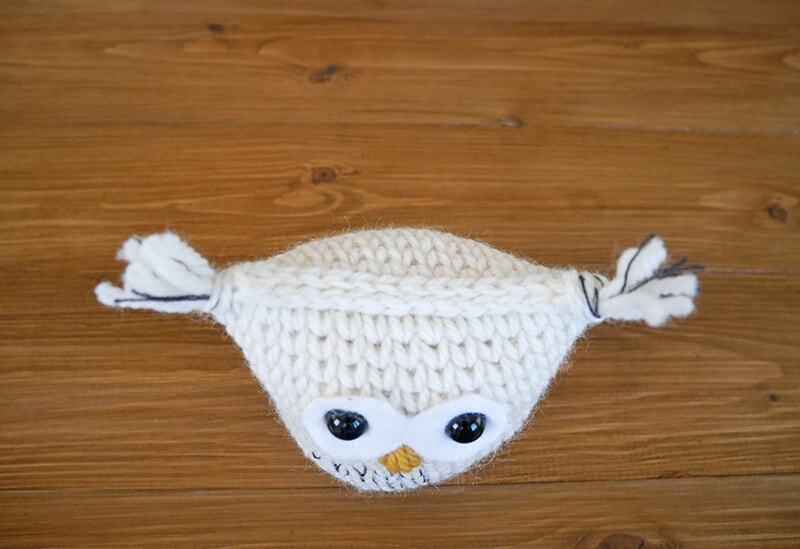 Now is the part that you fill your owl with stuffing and place the eyes before you close. 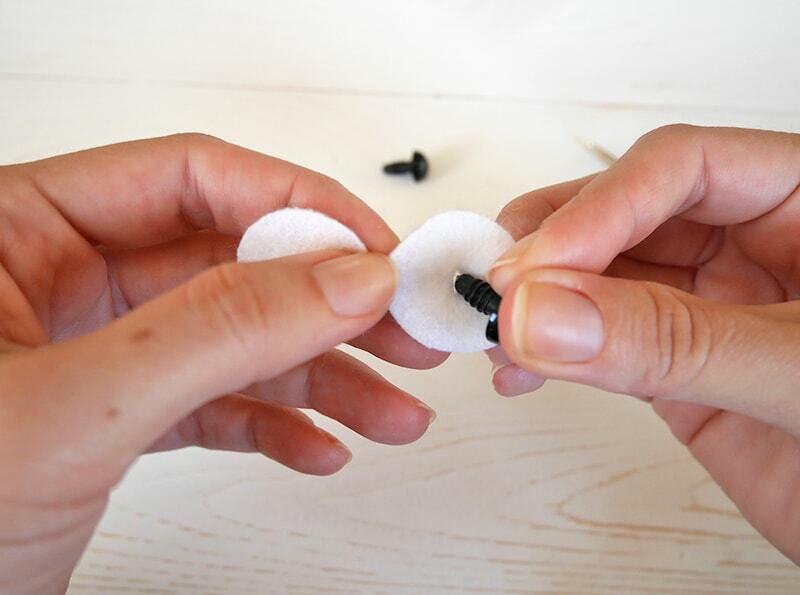 There’s a tutorial below on how to cut the felt. The correct placement for the eyes is 5 rows below the last row you made, just above the center of the stomach -the grey and white area. Draw 2 circles with a coin, one right next to each other. 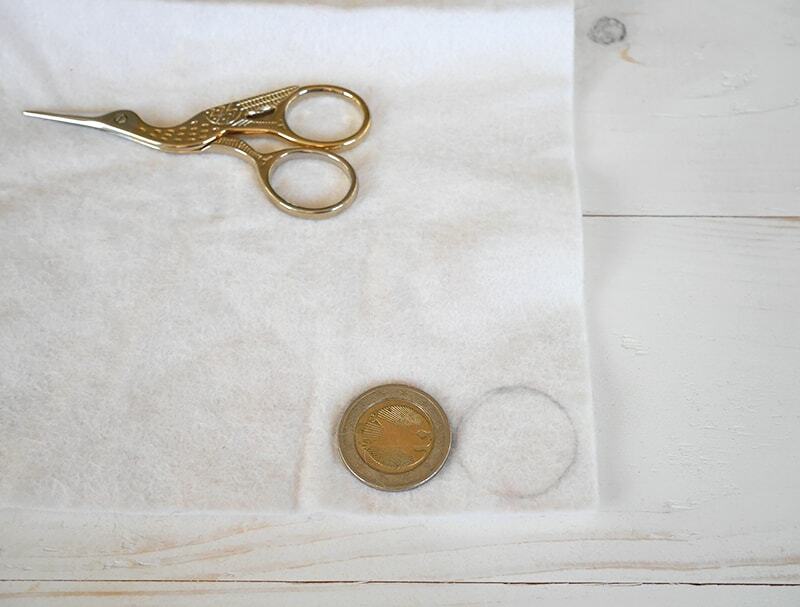 I used a 2 euro coin which measures 1 inch (2,5 cm) in diameter. Cut the circles but leave the point that they meet uncut. 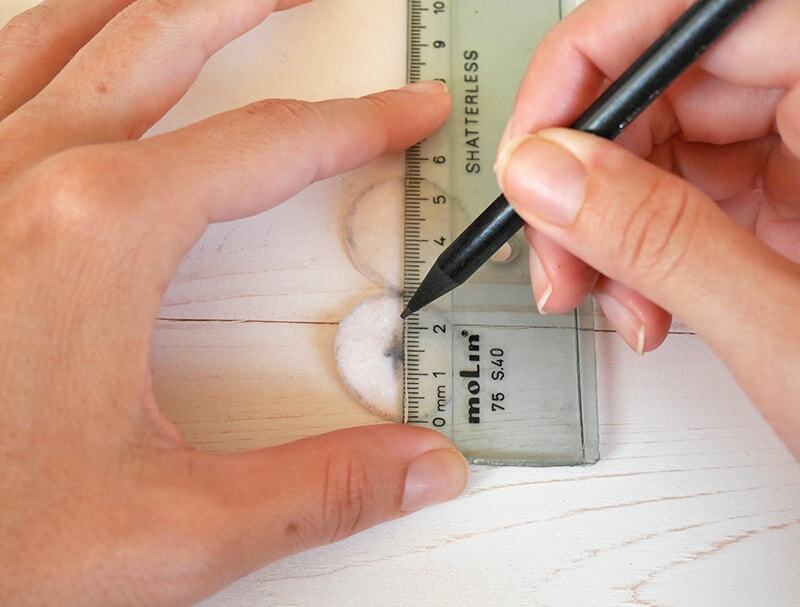 Measure separately each circle and find the center. Do it again for the other side, in order to find the center. The center is each cross. Make 2 small cuts at each cross to make room for the craft eyes to pass through. 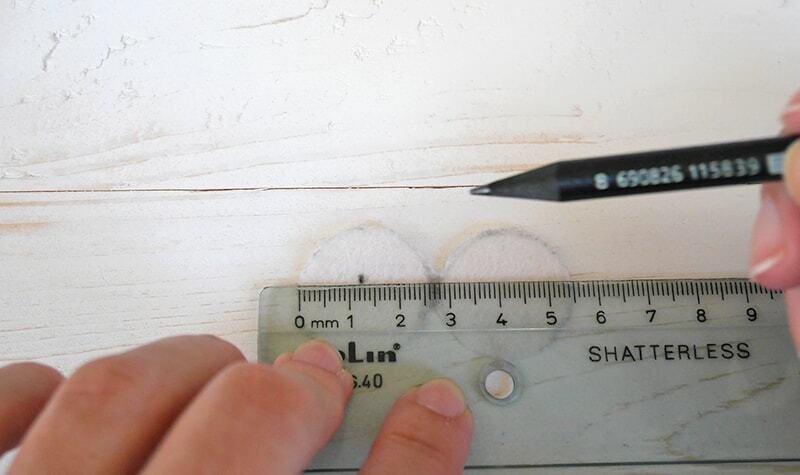 Insert the craft eyes in the incision and place them at your owl as explained above. 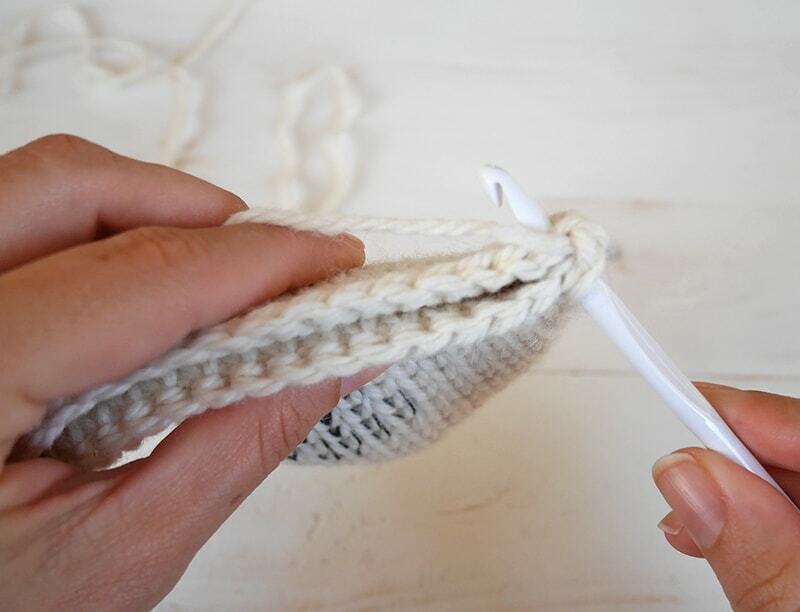 Now, place hook under both front and back fabric under both loops, as shown in the photo, yarn over and make a loose slip stitch. Continue in that manner until you reach the other edge. Cut yarn and fasten off. 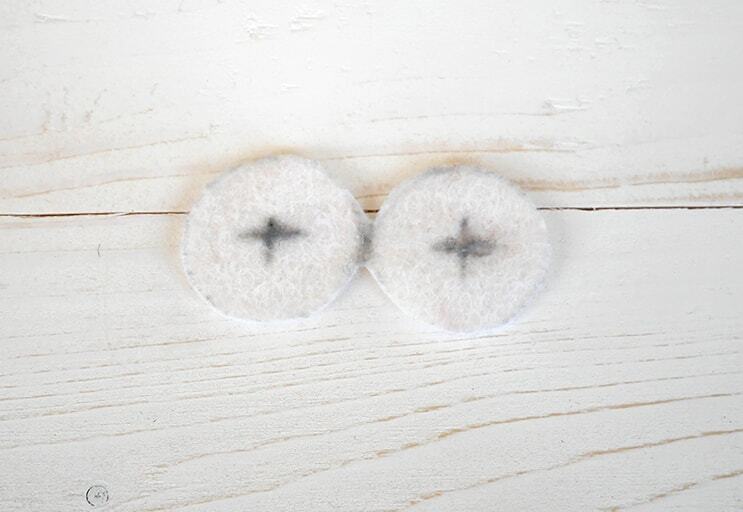 Make little tassels to add as his ears and sew the nose with yellow yarn. And that is it! You are done! Enjoy your little snow owl! This little owl is so precious! I love the rustic look, and the embellishments. Usually I try to hide my seams, but I really like how you’ve used the top seam here. I’ve pinned this guy. Thanks so much Alexandra! Unfortunately, I don’t have a granny square project to share right now, but what an awesome idea! What a cute owl! 🙂 And I like the crochet stitch: it really looks like knitted.